1. Figure out which address you’re going to use. Use the address you registered with for your business everywhere. Think of the address you put on your bank business loan, the address you used for registering for your business telephone line/cell phone, the address you provided when you bought a business vehicle or equipment. These are the addresses that are going to populate online via data providers later in the future, and they’ll give you a possible headache if they don’t match what you used as your address inGoogle My Business (GMB). If you fall into the majority of SABs that need to hide their address, decide if you’re okay publicly listing your address on other websites. 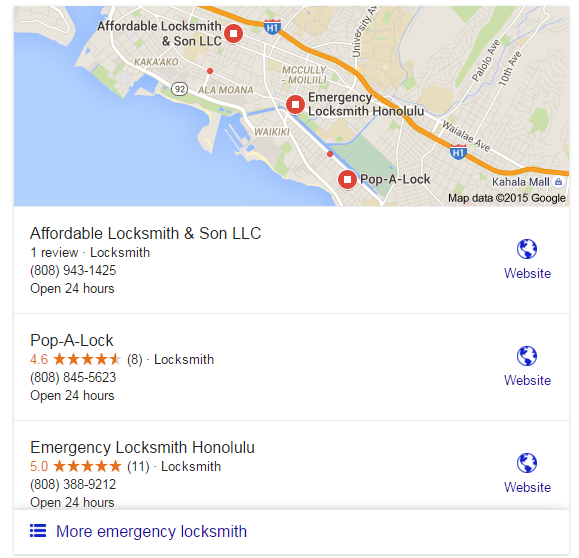 In Google My Business, you can select which areas you service. You can do this by adding either zip codes or the names of the cities you service. 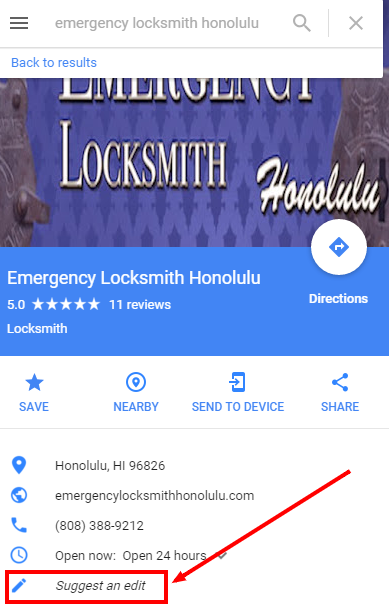 It’s good to note that what you select here will determine how your business radius and marker will show up on Google Maps. 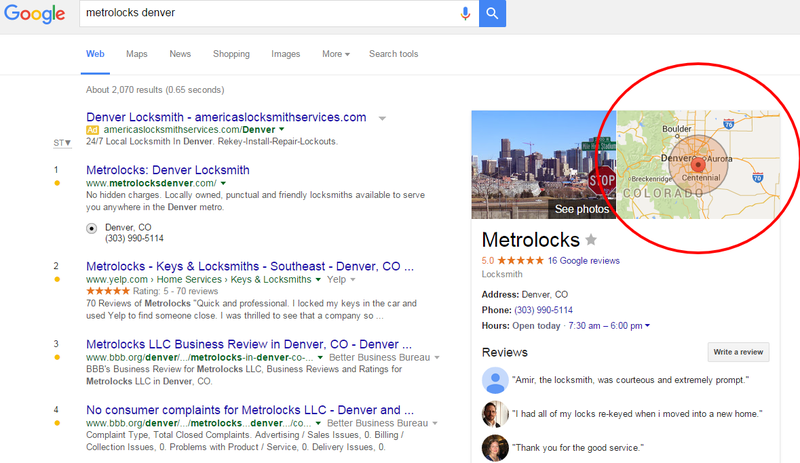 If you choose a ton of cities and zip codes, Google will attempt to find the center of them and put your marker there. The result isn’t always ideal. Service-area businesses with hidden addresses have the advantage of listing the hours that they’re available to answer the phone. Businesses with storefronts are supposed to list the actual hours that customers can show up at their front door and get service. If they have a 24-hour call center, they are still not allowed to list themselves that way unless they’re someone like McDonald’s, with a 24-hour drive-through. Generally, you will only rank in the local pack for the city that your address is in. If your home address isn’t in the city that your primary book of business is in, this can be concerning. Other than setting up offices in different cities (real ones, not virtual ones), your best option is to target long-tail keywords & the organic section of Google using really great content. If you’re a contractor, create a useful page on your site for each town with safety information, emergency contacts or places to get permits. Thanks to Joy Hawkins and SEO Moz for this great post.